Want to live a stress-free life with $1 million or more in the bank? 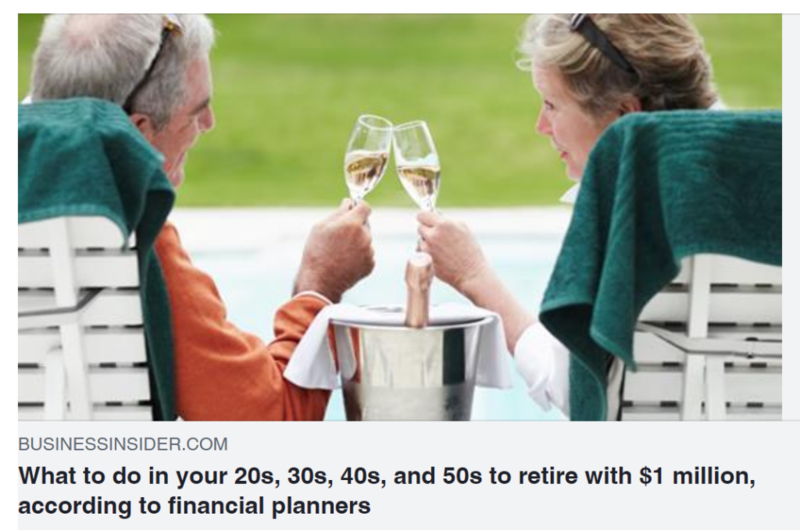 We spoke with financial reporter Hillary Hoffower of Business Insider to share what to do right, and what not to do wrong, at every decade of your life, so you can stay on the fast track to banking that first $1 million. Take a look at the full article here. It’s chockful of useful tips to keep you on course at any phase of your life. ← Did Your 401(k) Take A Beating In 2018?